Flavia Gag was an author, artist, writer and illustrator of eight children’s books; she also illustrated 14 books and numerous stories for juvenile magazines. Flavia loved to paint nature and specialized in watercolor paintings of landscapes, animals and flowers. She also wrote and published a number of songs for children. Flavia was born in New Ulm, a town in southern Minnesota settled by German European immigrants. The youngest of seven children and the daughter of a painter and photographer from Bohemia (Anton Gág), she grew up in a home where art, music, drawing and storytelling were an important part of everyday life. Anton died when Flavia was one, and her mother died when she was ten. 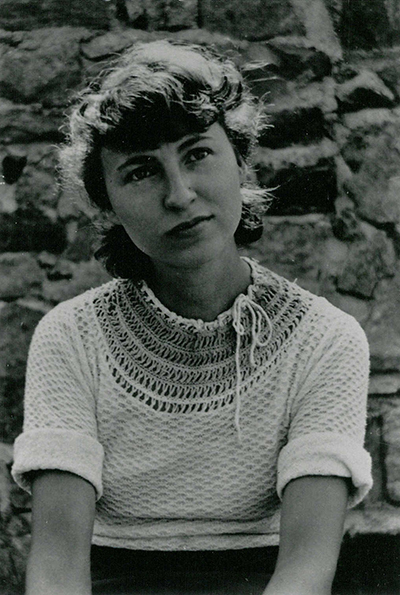 Her oldest sister, Wanda, famous artist, author and illustrator, was determined to keep the family together until they all finished high school. The family moved to Minneapolis where the oldest sisters worked to support the family. During this time Wanda was in New York on a scholarship to New York City’s Art Student League and also worked as an artist to help make money for the family. All the children finished high school, and after Flavia graduated in 1924, she and three of her sisters and brother moved to New York to be near Wanda. Flavia worked as a stenographer and took art classes. Flavia loved to draw and write and decided to try her hand at serious writing and illustration in the magazine and book field. 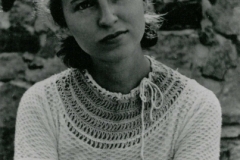 Wanda’s success with her children’s books allowed her to buy a home in rural New Jersey called All Creation, and Flavia moved there in the early 1930’s. The atmosphere at All Creation had a major effect on her artistic efforts. Wanda helped her and taught her patience and perseverance. Flavia continued to write and illustrate books and stories after Wanda’s death in 1946. In the late 1950’s she moved to Florida near her sister, Stella, where she built her first home and studio. She continued to write and paint; although she never married, she loved to be around children and enjoyed telling them stories. She gave numerous talks at school and was a guest lecturer on writing at area colleges. She visited New Ulm in her later years to learn more about her roots, and was writing a book for children on Wanda’s life when she died of cancer in 1978. Her nephew, Gary Harm, remembered her as a very outgoing, happy person who loved to be with children and adults. He recalled that she loved to paint nature. The title of the books she wrote and illustrated are: A Wish for Mimi, Melon Patch Mystery, Tweeter of Prairie Dog Town, Fourth Floor Menagerie, Sing a Song of Seasons, Four Legs and A Tail, Florida Snow Party, and Chubby’s First Year. Flavia also collaborated with two of her sisters on a book titled Sue Sew-and-Sew.